All proceeds from this purchase go to Inter-Faith Food Shuttle. You can purchase one duck or as many as you want. Individual ducks are $10 each and Corporate ducks are $250. On the day of the event the ducks will be simultaneously released to race swiftly down the Ol' Bull River. More information and contest rules here. Prizes include Charlotte Bobcats vs. Miami Heat Basketball Tickets, Duke Men’s Basketball Tickets, tickets to see a Broadway Show at the DPAC and more! There's even a prize for the "Best Decorated Duck!" 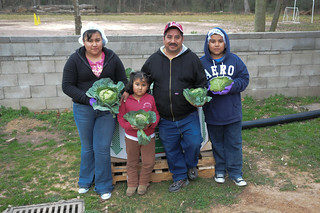 Food Recovery and Distribution & Mobile Markets: We distribute free fresh produce through our numerous partner agencies in Durham as well as our monthly Mobile Markets at West Durham Baptist Church and Iglesia El Buen Pastor. 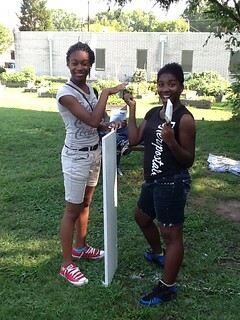 Community Gardens: In the West End Neighborhood, IFFS works with and employs neighborhood youth to grow food. 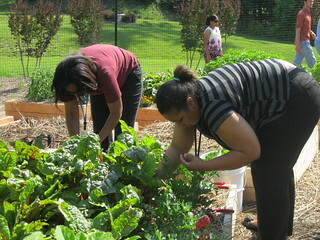 Our corporate community garden at BCBSNC grows food for IFFS's Plant a Row for the Hungry program, which is distributed to agencies in Durham that feed the hungry. 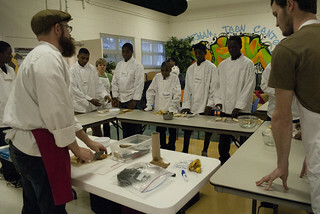 Nutrition Education: We teach nutrition through Food Matters healthy cooking demonstrations at our monthly Mobile Markets and through Cooking Matters classes at community organizations like the Durham Teen Center, Durham Housing Authority, and Bull City Fit at the Edison Johnson Recreational Center. 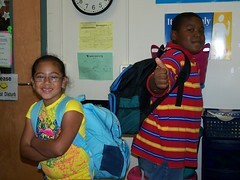 BackPack Buddies: We provide weekend meals for children in need at Eastway Elementary, Y.E. Smith Elementary, Glenn Elementary, C.C. 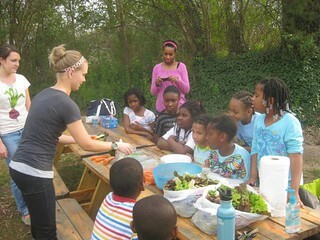 Spaulding Elementary, Forestview Elementary, and the John Avery Boys & Girls Club. In-School Pantries at Southern High School, Northern High School, Hillside New Technical High School, and Neal Middle School. Thank you for your support, and see you at Family Fest!